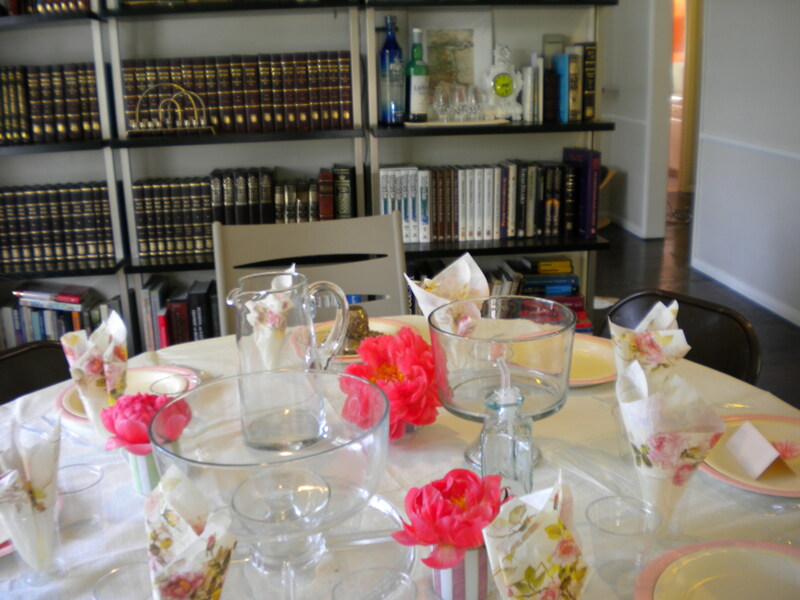 I've been browsing through some family photos trying to remember the table arrangement we used for last years Shavuot luncheon. Looking at these I remembered the lovely use of short-florals! I have a serious aversion to flower arrangements that inhibit cross-table conversation, and though I consider myself rather flower-happy, I'm not too keen on sticking a vase of flowers in middle of a dinner party table (no matter how beautiful they may be). 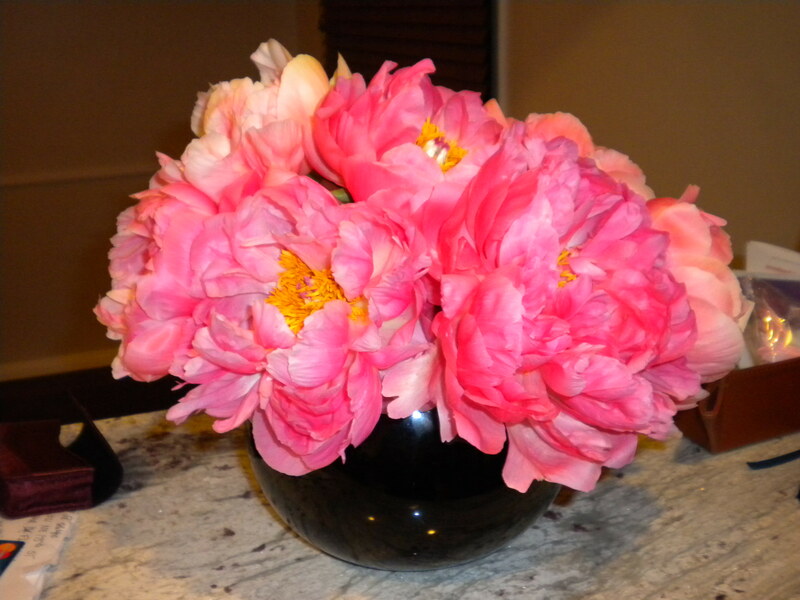 Last Shavuot I sent my husband on one last errand - to Trader Joes for Peonies (I stopped going anywhere else for my flower-fix). 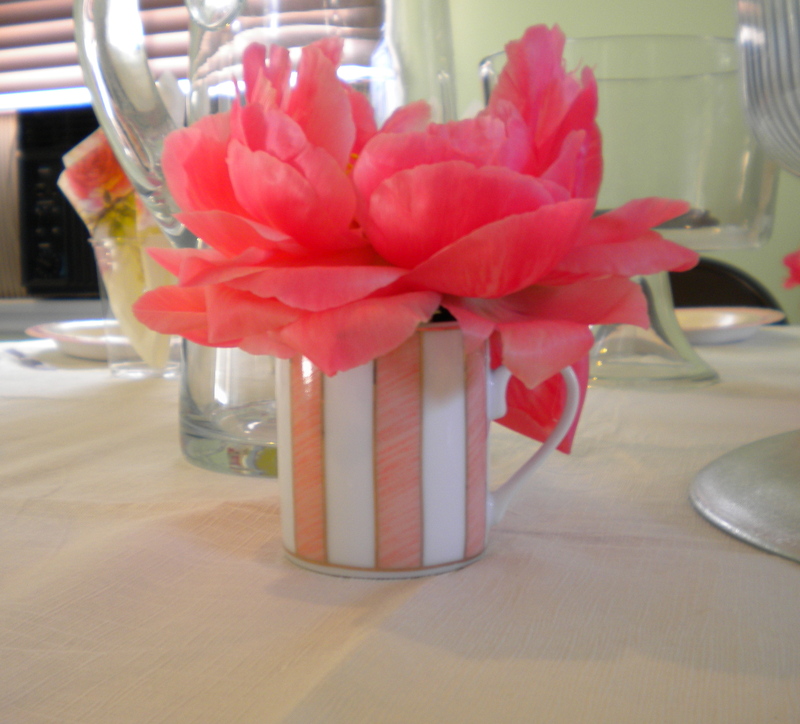 I scavenged the house for "bud vases" landing happily on a collection of colorful espresso cups, and with just a few easy snips I placed the huge peony buds in the little cups filled with water and scattered them throughout the tables. It added an enormous amount of charm to the decor without overwhelming the setting. Simple and minimalist - I think flower buds are usually your best bet for table-top arrangements. What clothes around, comes around.